Our story is about a family, a dream and a legacy. It all started when two people fell in love. Clarence Breker and Adeline Syverson grew up on the prairie just below the hill where the lodge sits today. The farms where they spent their childhoods in the 1920’s and 1930’s can easily be seen out the north window of the Great Room. In fact, the four homesteads of each of Clarence’s parents (Ferdinand Breker and Olivia Kulzer) and Adeline’s parents (Casper Syverson and Mae Swanson) can be spotted from the lodge. You might say the story of our fifth generation farm spans over a century, but hardly covers the expanse of one township! Clarence and Adeline lived only two and a half miles apart as children (which is close for prairie kids), but they were four years apart in age and they attended different schools and churches. They didn’t know each other well in their early years. The two became sweethearts when Clarence’s little sister Millie, who was coincidently Adeline’s good friend, played matchmaker. It wasn’t long then before the two were frequenting the dance hall in Hillhead, South Dakota, and even talking about marriage. By the 1940’s, Clarence was working as a farm laborer and Adeline as a teacher in a one-room prairie school. They got engaged after Clarence saved up enough money from trapping muskrats so he could buy a wedding ring. 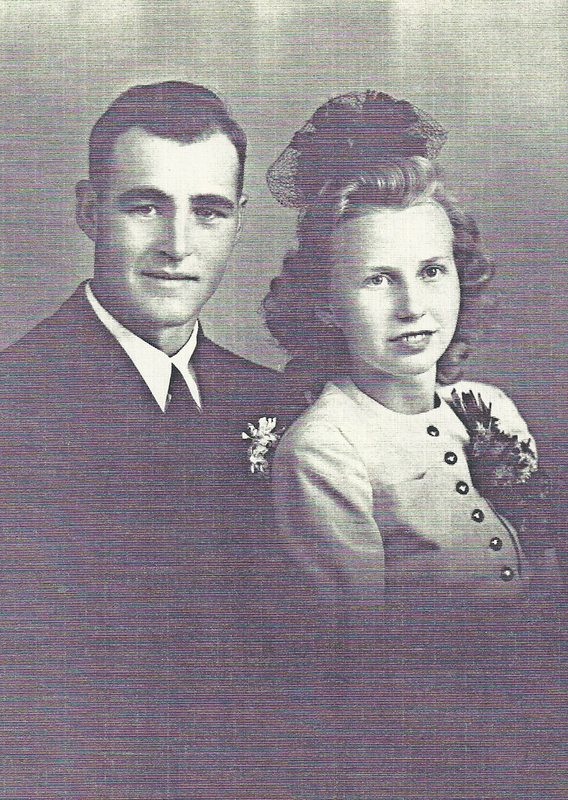 The couple was married on Adeline’s birthday, August 16th, 1944. It has been said if it weren’t for the rain that day, Clarence would not have been able to attend because he was in the middle of harvest. They were young newlywed farmers striking out on their own. Their humble dwelling consisted of a house with three rooms, an outhouse, a broken down old barn and a grainery. They didn’t have electricity, running water, telephone or furniture. They began renting land to farm and for a wedding gift from Clarence’s family they received three heifers and a team of horses. A great new journey was about to begin! 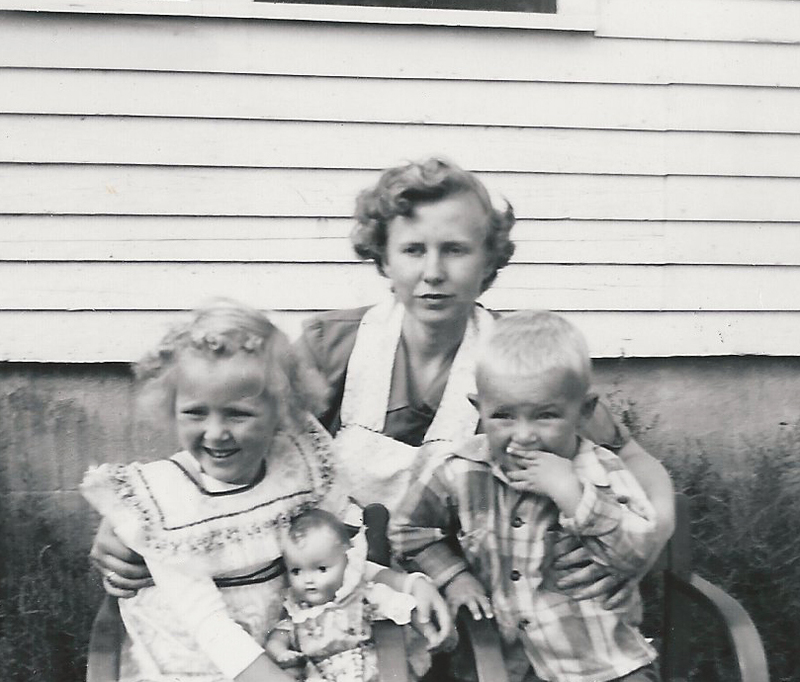 Early on, Adeline taught neighbor kids and her younger siblings in a one-room school, which was only 200 yards from the house where she grew up. However, her teaching career was brief as she soon began having children of her own and she took on the responsibilities of a farm wife. The partnership of Clarence and Adeline grew into an industrious farming endeavor as well as a fruitful family with children. Their home, filled with all the joy and mischief of the new generation, paired well with the hard work ethic and responsibility that comes with operating a family farm. Some years produced a bountiful harvest while other years they barely got by, but Clarence was always resourceful and his extra work kept them afloat during hard times. To supplement their income he stripped and sold native june grass seed, hauled hay, butchered beef in his basement, was a beekeeper and made homemade hunting blinds called goose pits for waterfowl hunters. Sure, the whole family worked hard like other families in those days, but they still knew how to have fun! The Breker home was seldom occupied by family alone, for they were masters of hospitality! Adeline loved music and she brought up the kids to do the same. Making music together with friends was a favorite pastime. And Clarence was known for his smoked bologna and homemade beer among other delightful foods. The Tewaukon National Wildlife Refuge surrounded their yard and they lived in one of the busiest waterfowl flyways in the country. 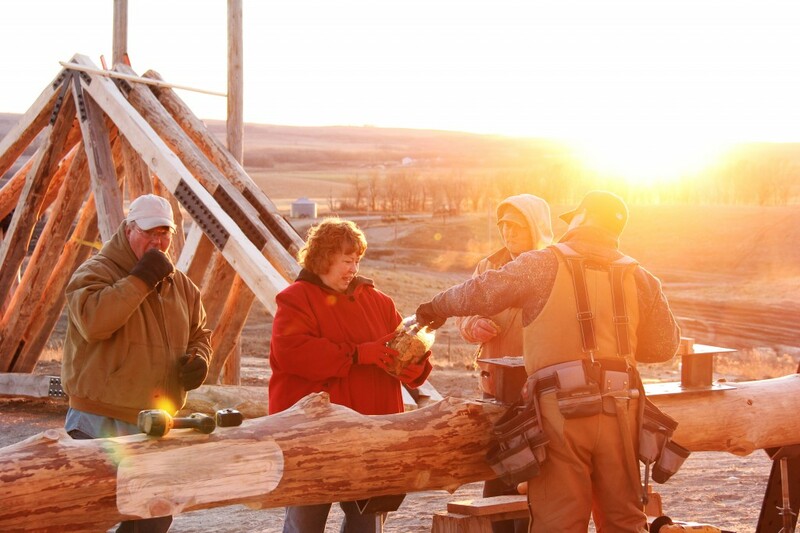 It was prime goose land and people came from far and wide to hunt on the Breker farm. 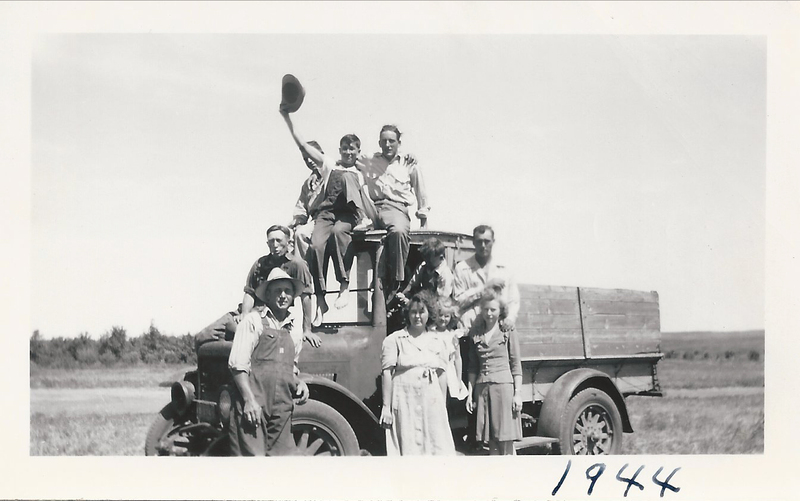 Folks still tell stories about the times they spent there; eating, singing and merrymaking, and for some even staying at Clarence and Adeline’s home. Indeed, you could call it The Breker Inn. In the 1960’s, Clarence partnered in farming with his brother Ralph. By sharing the cost of machinery and services, the partnership prospered and expanded. 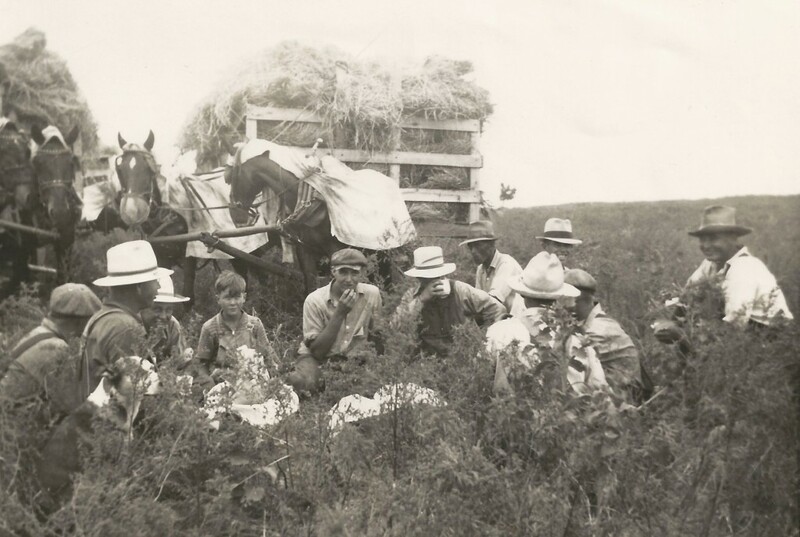 The brothers raised durum, rye, barley, millet, corn and soybeans and also Hereferd beef cattle. By the mid 1970’s, the Breker brothers farmed approximately 3,500 acres and owned the latest equipment including a corn drier and a Steiger four-wheel drive tractor, one of the first in the county. All the while, the next generation was growing up and working on the farm. Around 1970, Clarence began renting a nearby hill pasture from the Norby family for grazing cattle in the summer. The pasture rimmed the northern edge of the Coteau des Prairies. Clarence was always very fond of the ‘Norby’ pasture because of the spectacular view from one particular hilltop. 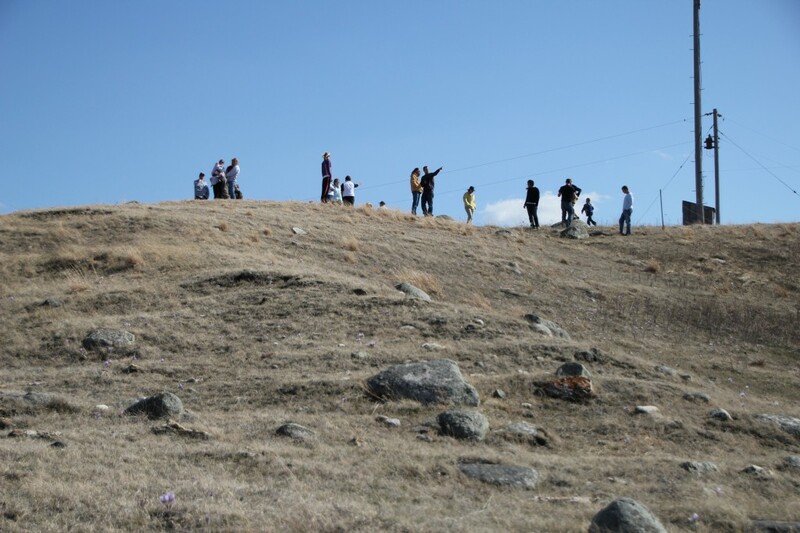 He would frequent the hill pasture alone or with an assortment of children to enjoy the hilltop experience. Even on the hottest summer days working in the pasture, they knew on the top of the hill they could take a break, catch a cool breeze and relax by watching shadows of the clouds crawl across the prairie below. 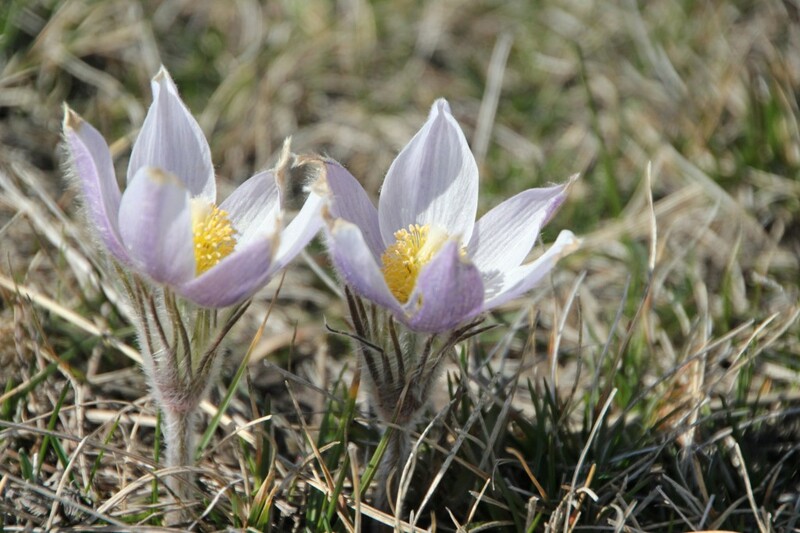 Eugene, the eldest son, distinctly remembers going with Clarence early each spring to find crocus flowers, which faithfully reappear on the hill each year to this day. In the late 1970’s, Clarence and Ralph disbanded and began partnerships with their sons. 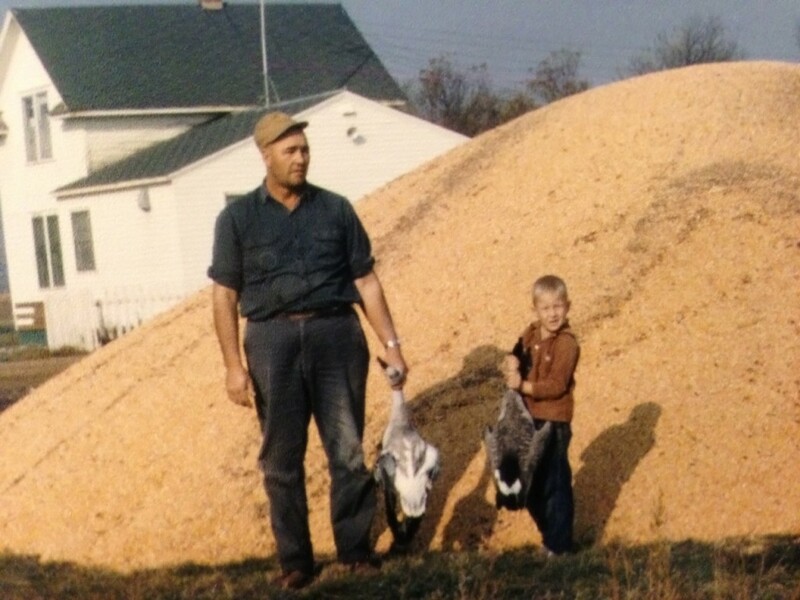 Clarence partnered in farming with his youngest son Joe. In 1979, Joe married Patty, who played the same role on the farm as Adeline had for the past generation. 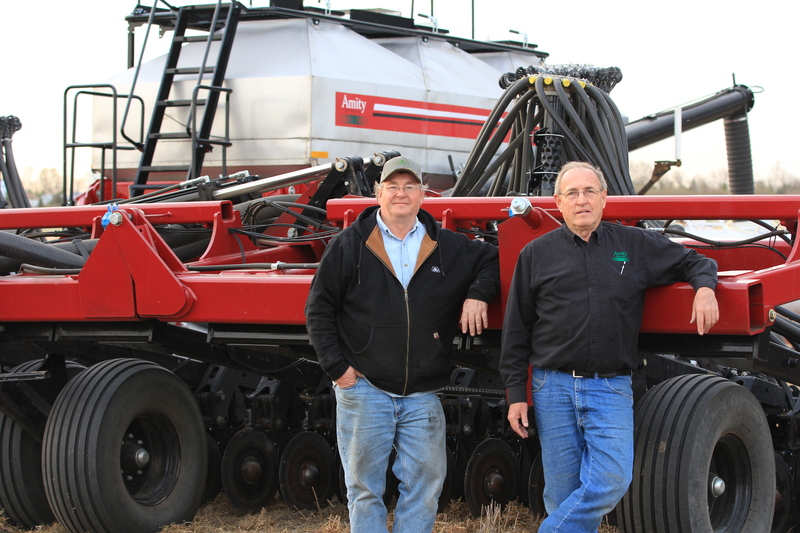 Joe, having recently attended North Dakota State University in Fargo, learned about new farming techniques and he convinced Clarence to try no-till farming, a conservation tillage method. They were some of the early pioneers in no-till. Today more than 30% of U.S. cropland is farmed by this method. In 1978, Clarence purchased the Norby pasture, which he had been renting. Joe had been tending cattle and mending fence in that pasture since before he could remember. He began to appreciate more and more its unique beauty. Joe once brought a college buddy, John Hanson, up to the Norby pasture. John grew up on a ranch along the Little Missouri River in the badlands of North Dakota. According to folks who have been there, John’s ranch is the most beautiful place in the state. John had dreams of one day building a lodging and hospitality business on his ranch. 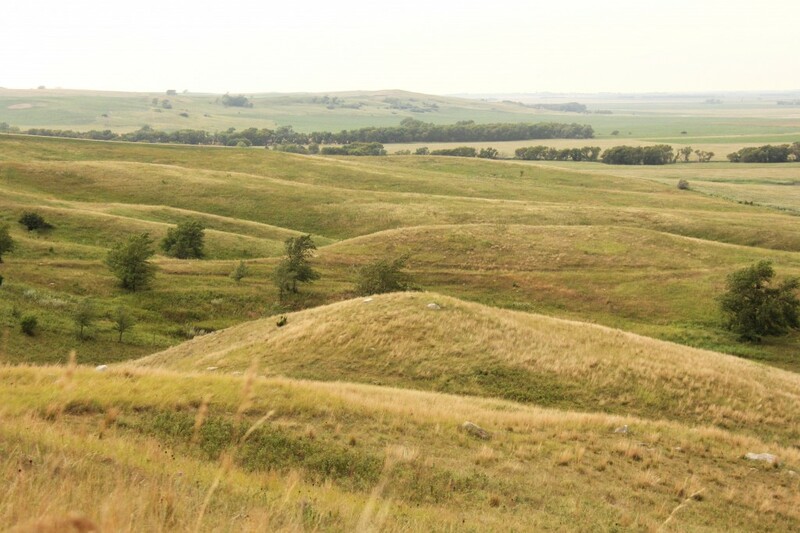 As the two sat together in the native prairie grass on the exact site where the lodge sits today, John expressed to Joe that he should be thinking about the same thing because the Norby pasture was, in his estimation, the “second most beautiful place in the state.” John didn’t realize at the time what he had done. He planted the seed of a dream that would take more than 30 years to grow and come to fruition. The heydays of farming ended abruptly in the early 1980’s when Joe and Patty were just getting started. Their success was no sure thing. They struggled through the years of drought, low commodity prices and soaring interest rates of the 80’s and the wet years of the 90’s. But like Clarence, Joe was resourceful and he found means beyond raising grain and cattle to help his young family get by. Joe operated a custom seeding business, there was a brief venture in ag chemical sales (ask him about that sometime), Patty sold fabric for tree planting, they started a tree farm and Joe began a partnership with his brother Eugene to rent seeding equipment. By the 1990’s, Clarence had largely retired from farming in order to care full time for Adeline, who was suffering from advanced multiple sclerosis. Clarence still visited his beloved pasture regularly with his grandchildren where he gardened, gathered wild prairie flowers for Adeline and plinked gophers with his .22. Adeline passed away in December 1998, and she left behind a lasting legacy of faith, family, music, laughter and love. Clarence followed Adeline into the Lord’s presence in May 2009, and left with us a legacy of hard work, integrity, hospitality, and an appreciation for the beautiful things in life, as well as the delicious things. Today we celebrate these legacies at Coteau des Prairies Lodge. 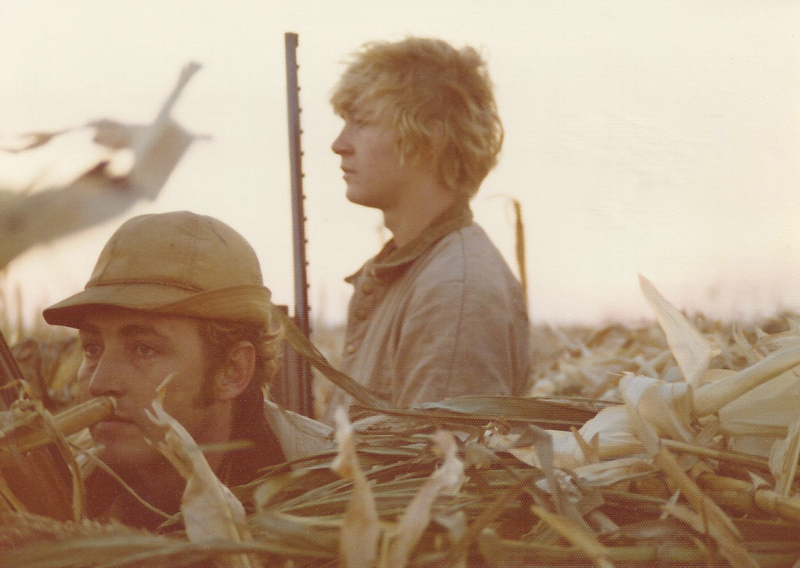 Eugene and Joe hunting in a goose pit. Even though Eugene left home to pursue a career and a life with a family of his own, the farm always held a special place in his heart. His work in the farm implement industry and also his business partnership with Joe frequently brought him back to the farm. He has been quoted as saying “the sight of the Coteau des Prairies drawing nearer as I approach the farm has a physical effect on me. I feel more relaxed and the weight of my worries melts away.” In the early 2000’s, Eugene was toying with the idea of building a sort of cabin or lodge or even resort on the hill in the Norby pasture. It was more of a fantasy than an actual business plan, but he began sketching designs for a building and hinting his idea to Joe and other family. The Breker family farm grew out of the lean years and found a new rhythm as the kids grew up and pitched in. Joe now farmed 3,000 acres at the foot of the Coteau des Prairies. He raised mainly spring wheat, winter wheat, corn and soybeans as well as Angus beef cattle. Joe always loved farming and sharing his interest with folks from all walks of life. His favorite waypoint for the ‘farm tour’ was…you guessed it, the Norby hill pasture. And why not, the whole farm can be seen from there! It seemed like there was always something drawing visitors to the farm, whether it was for a hunting trip or a research project, a reunion or a home cooked meal, a field tour or a business meeting, a family celebration or even some good old fashioned farm work. The farm has become a place to call home, not just for Joe and Patty and the kids, but also for Clarence and Adeline’s children and grandchildren and frankly a lot of other people too. The charming family values, the genuine sense of community, the calming pace of life; these timeless qualities prevail yet on the prairie. This sense of belonging somewhere special and a desire to share this experience with others was stirring in our hearts. Meanwhile, John Hanson’s vision of building a lodging and hospitality business on his ranch in the badlands had now become a reality. To build the log cabins for his Logging Camp Ranch, Joe’s old college pal logged ponderosa pine from his own land. What is unique, John’s ranch is home to the northernmost stand of ponderosa pine in North America and it is the only one in North Dakota. Over the years, John persisted his nudging of Joe to build a lodge on the pasture hill. Joe, busy farming and raising kids with Patty, resisted the nudging for many years. But in his heart, he knew he couldn’t put it off forever. In the fall of 2010, John finally got through to Joe when he urged him again to go for it! If it were to work, Joe’s whole family had to be on board. The various visions Joe and Eugene had developed over the years, one including a large resort complex and another which was a guided hunting service, had been met with mixed reactions. So it was back to the drawing board. But with Joe and Patty’s kids now off on their own and Olivia, their daughter, now married and working on the farm, the time was right. On Christmas, Joe announced to Patty and the kids that it was time to move forward with this much rumored and long anticipated lodge. A group visits the site where the lodge would soon be built. News spread fast and a bunch of family and friends jumped on board to be a part of the project. Everyone was confident if we put our heads together, the right path would appear. Deciding the site was a clear choice; it had to be that captivating pasture hilltop. What began as a modest family sized cabin grew to become an expansive lodge as ideas and support poured in. Joe wanted something to compliment the family farm, which he felt would still be at the heart of this new undertaking. A unique business model was formed based on a concept called agritourism, which is really just a fancy name for what Clarence and Joe had been doing for decades! Joe has always loved showing people around the farm, but now they would have a nice place to stay! While the finished lodge is the result of the combined talents of professionals from a wide range of trades, the planning and building process, at the core, was truly a family effort. Joe, living on the farm, was involved with every step of the process and logged uncountable hours pouring his heart into the project. Eugene was the mastermind behind the main design and architecture; his vision helped us all believe the unbelievable. 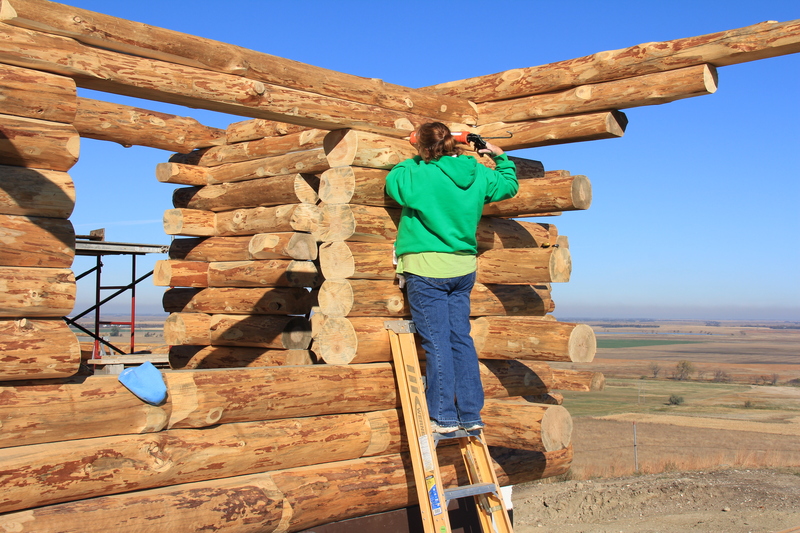 Patty single handedly caulked and stained the log walls, which was no small task, and she was responsible for finishings and décor. Cher (Breker) Spieker headed up a troupe of quilters who designed and handmade quilted bed runners for our themed rooms. Cher’s husband Doug made our custom metalwork, an integral part of the lodge, and he built a horse drawn sleigh and buggy. Cher and Doug offered their home on the farm, the Clarence and Adeline homestead, for our general contractors and other construction workers throughout the building process. Janny (Breker) Kiefer delivered large warm jars of fresh baked cookies for the construction workers once a week and earned the title ‘Cookie Lady’. Joe’s daughter Olivia (Breker) Stenvold, the lodge manager, spent two years working at the lodge site with various construction crews and refined the business aspect of the lodge. Joe’s son Phillip Breker was responsible for building the website, designing marketing materials and anything related to media. And then there is John and Jennifer Hanson, they aren’t exactly family, but they may as well be. They provided the logs for the lodge, over a thousand logs from more than 400 trees, and a lot of labor to go along with them. You might say a labor of love. Click here for a video about the logs. Coteau des Prairies Lodge opened in October 2012. And now a new chapter of our story has begun. We invite you to come and be a part of it! The Cookie Lady treats the workers to a jar of fresh baked cookies.